This fall, Starbucks will open a store in Northeast Washington, D.C., where all employees will know American Sign Language. The store will be staffed by 20 to 25 deaf, hard of hearing and hearing employees from around the country who are fluent in sign language, the company said in a press release Thursday. The store will be located at 6th and H Street NE, near Gallaudet University, a private university for the deaf and hard of hearing. 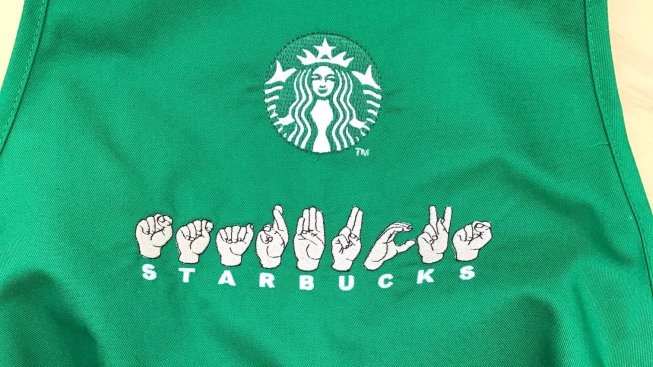 "Starbucks has taken an innovative approach to incorporating deaf culture that will increase employment opportunities as well as accessibility for deaf and hard of hearing people, while at the same time educating and enlightening society," said Howard A. Rosenblum, CEO of the National Association of the Deaf. The unique store will be modeled after the company's first-ever signing store, which opened in Malaysia in 2016. The D.C. store will feature artwork and a custom mug designed by a deaf artist. The store will have an open layout and low-glare reflective surfaces to help with communication. Customers who are new to sign language will be offered other communication options for placing their orders. The store is scheduled to open in early October.